Mastering has always been considered by many in the music industry as something of a dark art. Unlike mixing, which is fairly well understood, the process of transforming raw mixes into professional, broadcast standard, radio friendly tracks, has an air of mystery to it. Part of the reason for this is that the tools at the mastering engineer’s disposal are in essence the same as those used in the recording and mixing process; i.e. 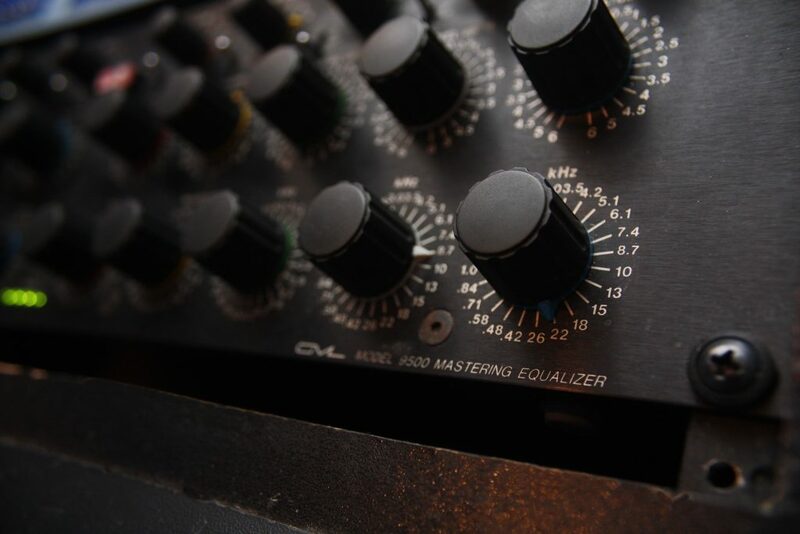 EQ (equalisation) and compression – and yet what the experienced mastering engineer can bring to a project with those tools often goes beyond the expectations of his client. This is why the mastering engineer’s contribution is often described in such ambiguous terms as “that special magic”, “bringing the tracks to life” or “making it sound like a record”. The difference between a mastered and an unmastered track can be dramatic, or it can be subtle. It’s impossible to generalise about what mastering does because every recording has it’s own unique features; some positive which mastering would seek to enhance, and some negative which mastering would seek to remedy. In terms of EQ, there are broad issues of the general tonal content i.e. whether a track needs more or less bass or treble. But there can be more specific areas where certain frequencies dominate or are lacking, possibly due to acoustic anomalies (room modes) in the recording studio, or the response of certain processors or mics used; and the accurate correction of these can really open a track up and bring everything into perspective. Your mastering engineer may also use compression over the track, and there are many types and approaches to dynamic processing so that it can be used to add punch and fatness, or to hold a wayward lead vocal in place on the top of the mix, or simply to add that bit of “glue” that holds a mix together. With affordable computer-based recording being so prevalent these days, a great deal of music is recorded and/or mixed in acoustically inaccurate monitoring environments. As a result of this the role of the mastering studio is more important now than ever; as it often provides the only opportunity to accurately hear what’s going on in a recording and iron out any problems. Many producers now even get their demos mastered, in order to be sure that they will compete in the marketplace. Most mastering procedures today involve a digital end-product, and the majority of these are in the form of a linear PCM recording with a 44.1KHz sample rate. This is the format used on Audio CDs (appropriately dithered to 16 bit word depth), and therefore is also the most common source from which MP3s and other data-compressed downloadable files are derived, the main exception being Apple’s “Mastered For iTunes” AAC files. Consequently your preferred distribution format, whether it is CD or download, will make no difference to the end-format of your mastered audio. It will be PCM digital audio at 44.1KHz, which we can give to you in the form of WAV or AIFF files, or as an Audio CD or DDPi Master. In the vast majority of cases, there will be a CD Master, and for download the digital aggregator will encode MP3s (or AACs in the case of standard iTunes) from a clone of that master. We can of course encode and tag your MP3s for you if you wish. Pretty much the hottest topic in the field of audio production in recent years has been the so-called “Loudness War”, which is the vicious cycle that has been driving up the volume and driving down the quality of the music we all listen to, since the mid 1990s. I will be only too happy to provide you with a super-hot master if that’s what you want. However, it’s a good idea to understand what you lose by over-cooking your master so that you can make an informed choice. It’s now being more widely recognised that super-hot masters, with the clipping distortion and marginalised dynamic range that they exhibit, can have a fatiguing effect on the listener (as well as the more audible artifacts), which means that even if you like the sound initially, it will probably turn you off over time (until you turn it off!). The more obvious side effects however become clear when you compare the before and after signals with the listening levels appropriately compensated.